On December 9, 1981, journalist and activist Mumia Abu-Jamal was arrested and later charged and convicted for murdering Philadelphia police officer Daniel Faulkner. The prosecution’s evidence was weak and pointed to the framing of an innocent man. In the weeks and days before Mumia’s scheduled date of execution (August 17, 1995), millions of people around the world took to the streets in protest. Their collective chant “if Mumia dies, fire in the skies” became the anthem of the movement. 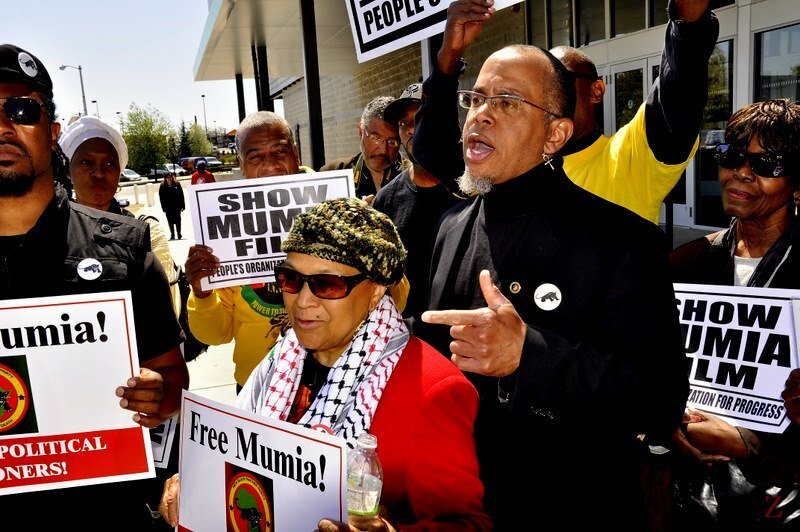 The protesters mounted pressure, demanding a reappraisal of Mumia’s case, which led to a stay of execution just days before he was scheduled to be put to death. After a long, arduous court battle, the Supreme Court decided in October 2011 to allow to stand the decisions of the four federal court judges who had previously declared Mumia’s death sentence unconstitutional. 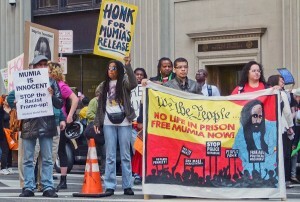 This victory began Mumia’s process of release from death row. 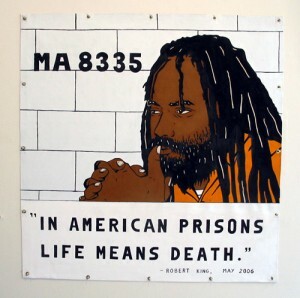 After being forced to spend seven weeks in solitary confinement following his transfer from death row, Mumia is now serving a “life without parole” sentence in general population at SCI Mahanoy in Frackville, Pennsylvania. 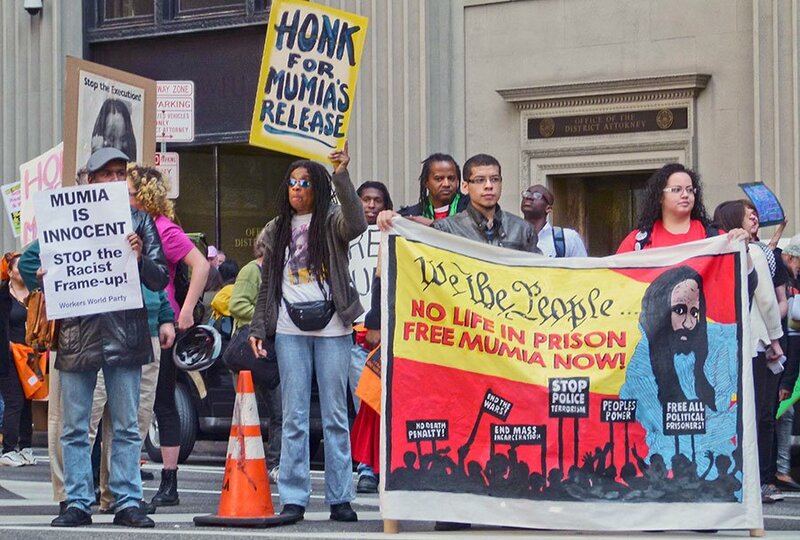 Today, a new vanguard of activists is demanding Mumia’s full release from prison. This forum grows out of the energy generated at an activist retreat I attended last August that centered on developing a new campaign to Bring Mumia Home. The retreat brought together seasoned and budding activists, college students, journalists, film producers, and musicians. There was an intense feeling of collective political engagement and a sense of urgency that united us. As a historian of the Civil Rights movement, the only thing that I could compare the experience to were the accounts I’d read about the retreats Ella Baker and the Student Nonviolent Coordinating Committee (SNCC) organized in the early 1960s. 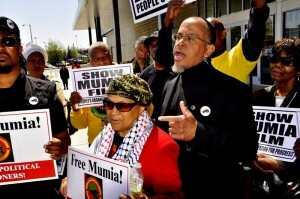 Mumia called us during one of our evening sessions. His smooth yet authoritative baritone voice filled the expanse of the living room. The room fell silent as we listened to Mumia thank us for assembling on his behalf and on behalf of the millions who are currently incarcerated. He expressed his commitment to doing everything in his power to bring awareness to the crisis of the prison industrial complex (from his prison cell, I must note). I was deeply moved by his political fervor, wisdom, and intellect. Yet, while Mumia was with us in solidarity, he was not physically with us. The paradox of Mumia’s sonic presence and his physical absence is symbolic of the heinous nature of mass incarceration and the abuses that people of color face everyday at the hands of the American justice system. After that phone call, our purpose for assembling in that farmhouse in the New England countryside became even clearer to me. I, along with Hakima Abbas, decided to organize this forum because we believe that freeing Mumia is a critical piece of a larger struggle to dismantle the prison industrial complex, which has and continues to erode our collective sense of humanity. We abuse and cage those whose bodies we deem unlawful, unwanted, and undeserving of our protection and resources. And, we push our memories of our incarcerated family members into the recesses of our mind as we go about our day as the nominally “free.” But, the reality is: mass incarceration affects us all. Collectively, the participants in this forum are calling for an end to what scholar Michelle Alexander poignantly calls “the new Jim Crow”. Primarily, we want to offer insight on Mumia’s case and the current state of the Free Mumia movement. The stakes of Mumia’s case have always been high. In an effort to advance their agenda of building a police state, conservatives use Mumia and other black and brown people as examples of why we need stop-and-frisk laws and other racist policies. The attacks from the right have intensified following the new campaign to Bring Mumia Home and President Obama’s nomination of former NAACP Defense Fund attorney Debo Adegbile to the Justice Department’s Civil Rights Division. Our goal as forum editors is to use Mumia as a lens through which we can analyze the broader problems with mass incarceration and the global politics that bolster the prison industrial complex. 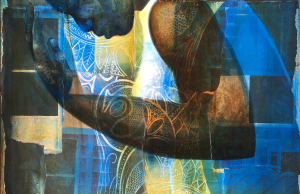 Forum contributors examine the insidious nature of the prison industrial complex by focusing on the experiences of women, the LGBTQI community, and youth (particularly people of color within all of these subgroups). Thus, we are employing the model of intersectional incarceration studies that Mumia (and others) has outlined in his writings and commentaries. We also celebrate the women who have dedicated their lives to an interlocking “movement of movements” related to mass incarceration: feminist and queer prison abolition projects, the movement to free political prisoners, disability justice related to criminalization, and grassroots struggles to combat violence against women and undocumented immigrants. So often, prison abolition—and mass incarceration writ large—is framed in masculinist terms, which marginalizes women’s contributions to these movements. 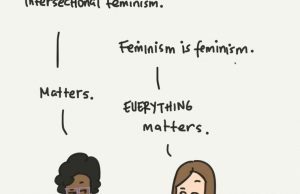 But, just as women were central to the Civil Rights and Black Power movements, they are central to prison abolition movements. We speak their names. Lastly, we want to bring awareness to the ongoing court cases of women of color such as Marissa Alexander and Rasmea Yousef Odeh. We want to discuss CeCe McDonald and Lynne Stewart‘s recent release from prison. We want to sing a song for the countless trans and cisgender women and girls of color—including Islan Nettles and Renisha McBride—who have been brutally murdered, assaulted, and re-victimized or rendered altogether invisible by the criminal justice system. Over the course of this week, the forum will feature exclusive essays, social commentaries, poetry, and personal reflections by Mumia Abu-Jamal, Angela Davis, Johanna Fernandez, Pam Africa and Ramona Africa, Beth Richie, Chris Tinson, Alexis Pauline Gumbs, Andrea Ritchie, David Leonard, Gabriel Teodros, Walidah Imarisha, Jamila K. Wilson, Meron Wondwosen, and others. Martin Luther King Day offers a fitting occasion to begin our discussion of these interconnected issues related to mass incarceration. The pieces in this forum speak to and push back against one another, building a collective energy that we hope will galvanize readers. Today, we want to do more than wax nostalgic over the images of a tepid Black Freedom movement promulgated by the mainstream media. Instead, we are inciting a call to action. 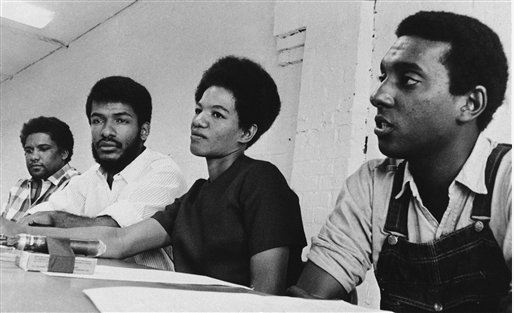 We are taking up the mantle of the radical activists of SNCC and other organizations who spoke truth to power. We are building on the momentum generated by those who have, for decades, been on the front line of the movement to topple the prison industrial complex and free Mumia and other political prisoners. The struggle did not end in 1964 with the signing of the Civil Rights Act. We are a nation in crisis. The prison industrial complex both reflects and exacerbates many of our social ills. There is much work to be done, and we all must play a role. Just put this up today – I am a spoken word and hip hop artist from Pittsburgh, living in Stroudsburg, PA and working on a street outreach project with the Campaign to Bring Mumia Home and the FLY Academy in the South Bronx. 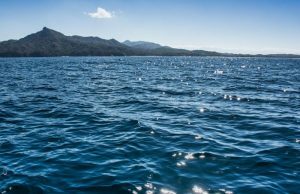 Thought you might enjoy this creative flow for the campaign.